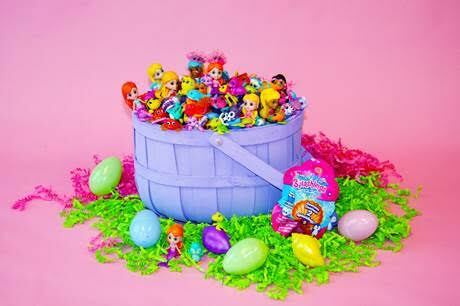 Splashlings 5000 Blind Bag Giveaway from TPF Toys! Splashlings, An Ocean Full of FriendsTM, features mermaids, ocean friends, gems, shells and treasures, affording kids hundreds of ocean-themed characters to collect! TPF Toys latest addition of mermaid-themed characters and friends feature a series of ultra-rare color change characters, that when dipped in icy cold water, amazingly changes colors! Invented by the famed Pound Puppies®creator, Mike Bowling, Splashlings features An Ocean Full of FriendsTM. Over 100 new mermaids, ocean friends, gems, shells and treasures join the Splashlings family, affording kids more than 200 ocean-themed characters to collect between the two waves. TPF Toys is giving away 5000 Foil Bags in 10 Days… yes, you read that right! Via Instagram /@Splashlings_official, Splashlings fans are encouraged to post an Easter-themed Splashlings photo or video with the hashtag #splashlings, tag @amazon and tell the team why you love them! It’s a perfect opportunity for you to showcase your colorful and creative Splashlings collection! Share images that complement the Splashlings Instagram channel!! And hey, don’t have Splashlings? Not a problem, come up with something fun on why you deserve to win!